Small and midsized businesses (SMBs) are using an increasing number of cloud services, especially for hosted email and file sharing, according to a newly published report from vertical IT network Spiceworks. 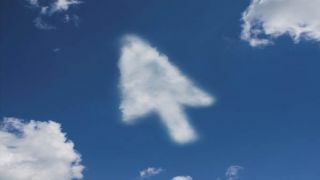 The survey, sponsored by cloud connectivity services provider LogMeIn, took in 500 IT professionals from SMBs predominantly in Europe and North America, and shows that the desire to access applications and data on the go has prompted increased use of cloud services. Hosted email is on the verge of surpassing on-premise, with deployments edging up from 42% to 46% over the past year, and another 5% planning to migrate in the next six months. Google is the leading provider with 32% of the business, but its share is down from 34% a year ago and it is facing increasing competition from Office 365, for which the share has grown from 16% to 30%. File sharing is also becoming more widely used, with 24% of respondents having an approved vendor, up from 19% last year, and another 6% planning to have one in place within six months. 50% acknowledge that employees use the services off their own backs, up from 33%. Dropbox is the stand out supplier, accounting for 40% of the company approved activity and being used by 93% of employees. Google Apps is the closest competition with respective figures of 24% and 14%. When it comes to productivity suites, 35% of respondents are using cloud-based systems and 13% plan to adopt them in the next six months. Office 365 and Google Apps are competing closely for their attention, figuring in the plans of 60% and 59% of the respondents. Cloud-based web conferencing is also growing in popularity, with 42% currently using the technology and another 9% planning to do so soon. Kathryn Pribish, Voice of IT Programme Manager at Spiceworks, said: "The survey results show that cloud-based services continue to be an integral way employees access information, communicate and collaborate during their work day."